Kimber Gun Rights Bulletin: Will Missouri’s Governor Greitens Sign Campus Carry in 2017? Elections have consequences. The election of Donald Trump has been occupying most of the media oxygen in the last three weeks, but the gun culture did very well in state and local elections. 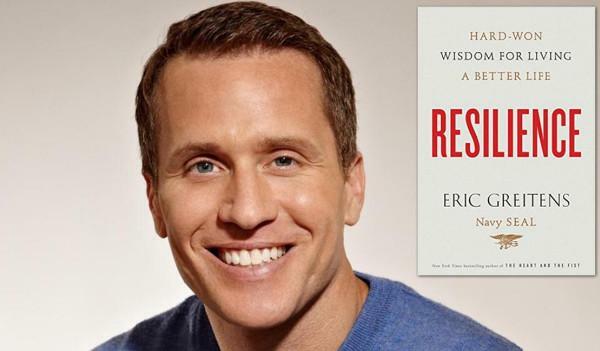 In Missouri, Republican Eric Greitens will be replacing Governor Jay Nixon to secure all of state government for the GOP in the Show Me State. Nixon was decidedly anti-Second Amendment. An omnibus gun law reform bill was passed over his veto in Missouri last year. That bill included permitless or “consititutional” carry. Originally the bill contained a watered down provision for the exercise of Second Amendment rights at public institutions of higher learning. Current Missouri law allows campus administrations to ban weapons on campus. All 13 institutions that offer a four-year degree in Missouri have banned campus carry. Republicans kept their supermajority in the Missouri Senate, 26 to 8. In the House, the Republican majority is nearly the same as last year, 115 to 45, with 1 independent. Constitutional carry reform was passed with overwhelming majorities of 112 to 41 in the House and 24 to 6 in the Senate. Given that history, it’s not unreasonable to expect another campus carry bill to pass and be signed into law with a Republican governor in office. But Greitens is a political outsider. He wasn’t endorsed by the NRA. The NRA endorsed former Republican Rich Koster in the gubernatorial race. Greitens is a relatively recent GOP convert, a former Democrat. He talked about supporting Second Amendment rights during the election. He was a Navy SEAL. He’s a Rhodes Scholar and best selling author. I hope he does well. Once Greitens takes office, we’ll see if his actions match his words. I’ve watched numerous efforts to pass campus carry — some successful, some not — and I’ve been amazed at the clout the higher education lobby has. They wield power far beyond what you would expect. They control no media. They’re consumers of tax dollars. Yet politicians give them enormous credibility and tend to bow to their whims. Now that we’re past the election, campus carry of some form will likely pass the legislature in Missouri in 2017. The only question is whether the bill will be signed by Governor Greitens. Is Greitens the kind of military elitist who believes that only the military should have guns? I don’t know, but I’m not going to trust him until and unless he earns that trust. As an MO denizen, I don’t trust him half as far as I can throw Billy Barty’s corpse…. He was a Dem until he ‘miraculously’ turned R, after stealing/misappropriating $700K+ from his supposed “charity”. Honestly my major rife with the new governor is the right to work stance, in regards to firearms rights, I was actually surprised by the n.r.a endorsement of Kris Koster. But let’s be real, non for profit charities do include administrative payroll, 100k a ear over seven years is a lot for a charity but no where near the bulging of the bank account of executives regarsing other such said charities. The Ohio State knife car attack is just another reminder. P.S. Greitens is a totally unknown quantity, like Trump he has no political record. He was hanging out with big city liberal Democrats 2 years ago. If Missouri colleges’ power to prohibit campus carry is removed, anyone eligible to possess firearms will be free to carry on campus. That is likely to be a hard sell. Does Missouri still maintain a CCW permit system with training and qualification standards? If it does, a first step might be to allow carry by faculty and staff who have permits. As it becomes obvious that the sky doesn’t fall and the streets don’t run red with blood, extend that to more and more people. Higher education’s clout depends on its reputation. Given the mess at Missouri’s premier campus in Columbia (which has cost them 15% of their anticipated freshman enrollment), their protests may not carry much weight any more. Missouri did maintain its CCW system. While keeping the permit system AND Constitutional carry were good moves, It’s made for a confusing mishmash of rules. Uh oh, Greitens is a former Democrat. We know how well that worked out for us in Georgia when HB 60 was almost torpedoed at Governor Deal’s behest – then when it passed anyway unscathed, he crowed and bragged at the signing like it was his idea all along. He later got revenge on us two years later by vetoing HB 1060 which fully decriminalized church carry and HB 859 (campus carry). Perhaps Greitens will surprise us by actually being a real patriot. If he’s like Gov. Deal, then vote him out! I wish him well and hope he doesn’t disappoint. I have my doubts, though, and don’t trust him to do the right thing for the right reasons. He may sign it, given the support behind it sufficient to override his veto. That and his narrow 51% electoral victory, when any Republican in MO should’ve gotten closer to Trump’s 57% there, may prod him to sign. Actually the “R” stands for “(R)eally the best way to get elected”. His trust factor is somewhere below “zero”. As a proud Endowment Member of the NRA I received their Candidate Endorsement recommendations and as the author states they endorsed his opponent. Despite this I voted ‘my gut’ and have no regrets in the least as I am quite confident that Gov-Elect Greitens will be the strong supporter and advocate of all-things Pro-Constitution including the bill discussed here regarding Campus Carry (if you haven’t seen Gov. Greitens Campaign commercial it is worth several-plus viewings to be sure: https://www.youtube.com/watch?v=Yf2Gai1uQYM ). Additionally, like millions of other fellow Constitutionalists in the Show-Me-State I was first of all surprised and secondly quite happy with the Republican Sweep of every Office and or Proposition on the Ballot–I was a banner-evening that will forever remain indelible for me and millions of fellow Patriots both at the State and Federal Level. God Bless our newly elected Governor and God Bless America. You eroded some of the NRA’s power. Some proud member. The NRA lost some of its power with the MO governors election. They endorsed a Democrat, which is absolutely what they should have done. NRA endorsements should be based on record and on 2A alone, not on party lines. Voters voted for the Republican anyway. So if the NRA doesn’t swing the vote in gun friendly Missouri, how much difference are they actually making with endorsements? If you’re heavy into gun-rights and claim to vote for your 2A, you should have voted Koster. Never forget the worst case in montana white nra supported guys ………..